Video mixing on the iDJ Pro with vjay app: One of a number of exciting new developments in the iOS DJ space in the past couple of months. 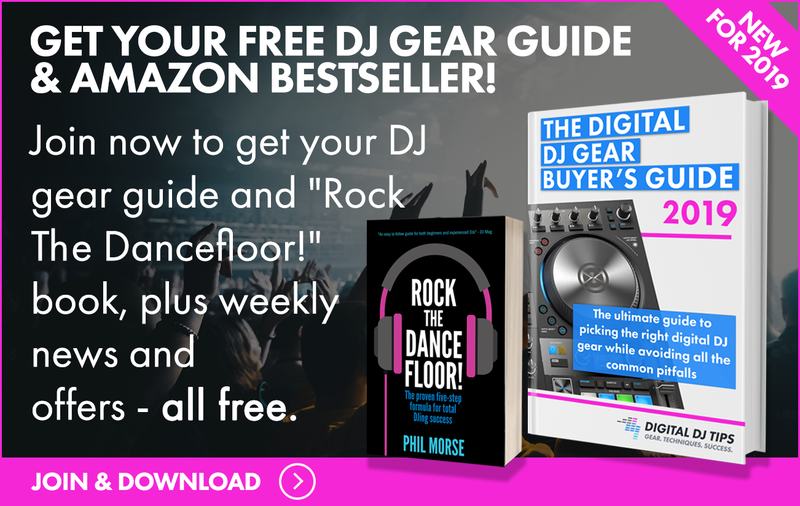 A number of exciting updates for iOS DJs hit the App Store over the Christmas and January period, and due to the tsunami of coverage from the NAMM Show that always happens at this time of year, there hasn’t been editorial space to cover them all. Dual stereo output arrives on iDJ Pro via update. 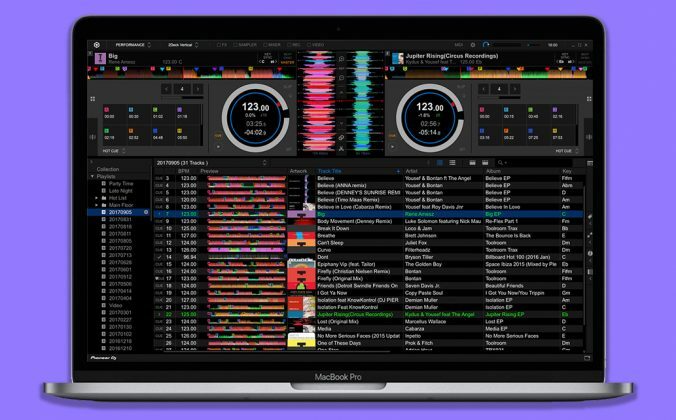 It’s been a busy few months for Algoriddim, makers of djay, the recommended software for the Numark iDJ Pro iPad DJ unit. 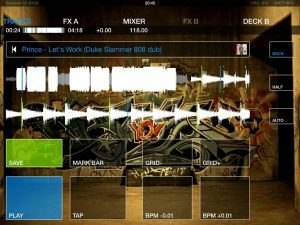 Just before the winter break the company gave users a few seasonal gifts in the form of sample pads in djay, video support via the vjay app, and finally, stereo master and cue signals for all iOS 6 users. The last of those items is probably the most eagerly anticipated by iDJ Pro owners. 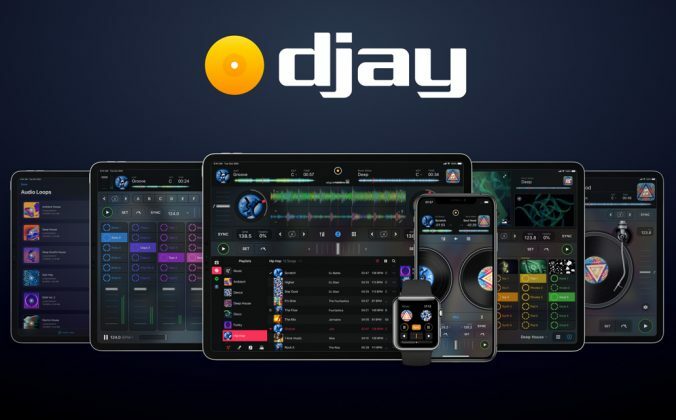 It is applied through firmware update via the djay app itself (I’m not sure the same update is applied if you only have the vjay app – probably not). Anyway, what you should see during your update is a nice little confirmation that something is occurring. The sample functionality with djay and the iDJ Pro is a welcome addition. Not only can you trigger a bunch of stock samples via the pad display on the screen, you can choose from a library of other stock sounds and also load your own one-shot samples for use (via app file sharing when connected to a host machine). The custom djay interface for the iDJ Pro also means that you can adjust the volume of the sample playback so they don’t encroach too much in your mix. Now you can be creative and change the background of DJ Player. The updates to DJ Player keep on coming. In November the background got a new standard look, and in December version 5.5 gave us DVS control and the ability to load your own custom background into the app. In order to use the DVS control for both decks in the app, you will need a USB class compliant sound card with four inputs and four outputs (ie two stereo in and two stereo out). 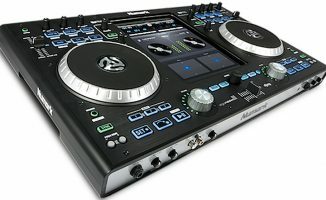 If you want to use turntables then your choices are currently limited, but it seems that the Numark N4 controller does a good job providing these audio connections. Perhaps we’ll see more class compliant sound cards arrive throughout the year. Another release is ready to roll that will provide Dropbox support (so you will be able to view, analyse and load tracks from your Dropbox app account), and a new mixer screen (MIXFX) where you can play with FX at the same time as blending two tracks and full music library support – not just tracks from playlists. 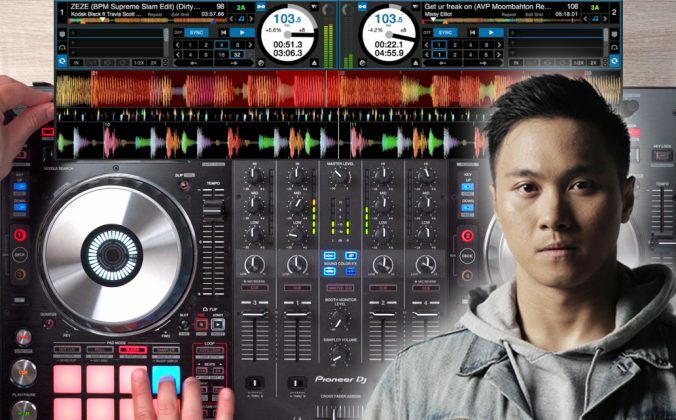 DJ Player also now recognises a number of different controllers when connected, which include the iON iDJ2Go, Numark iDJ Live, Numark Mixtrack Pro (with automatic audio routing), Numark N4 (with automatic audio routing), Vestax VCI-400, and Vestax Spin 2 devices. 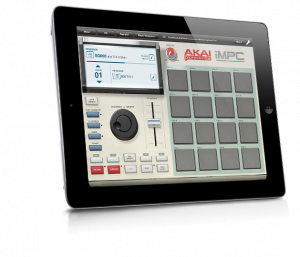 Retronyms iMPC brings Akai’s beatmaking hardware to the iPad. App developer Retronyms has worked with Akai to produce a standalone app called iMPC which brings the familiar look of beatmaking hardware to the iOS platform. So now while you’re between gigs or on the way to work, you can be crafting your next big track. The clever part of the app is that it works in conjunction with Tabletop (a virtual music making host) and also Akai hardware such as the new MPC range (Renaissance, Studio and Fly). 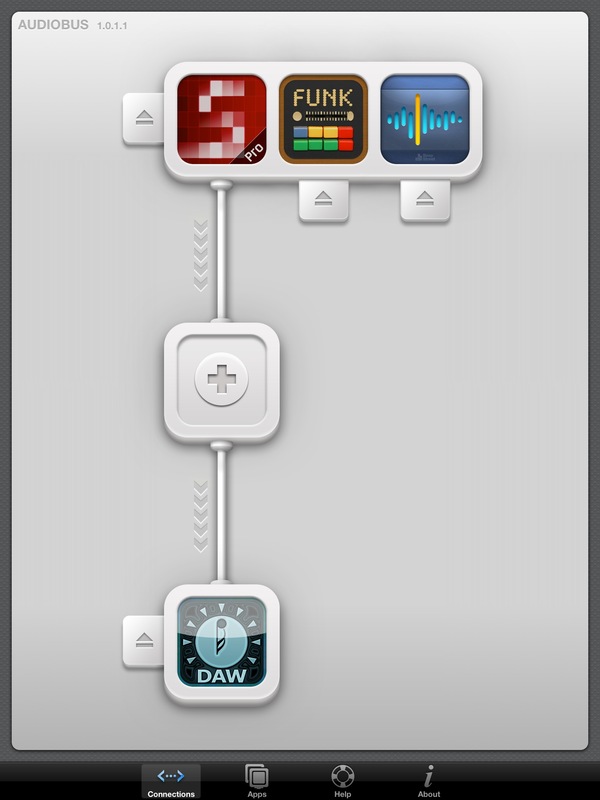 Audiobus provides a clever way of communication between apps. At first glance it may not seem important for the DJ, but if you’re into making music or beats on your iOS devices it most certainly is. The Audiobus app is simple enough, but revolutionary: It allows you to connect the output of one app to the input of another. In the pictured example you have SoundPrism Pro, FunkBox and Sunrizer all feeding into the MultiTrack DAW app which will record the audio from those three apps into three different tracks for mix down. The list of compatible apps is growing; only recently Korg introduced support for Audiobus in all of its apps. 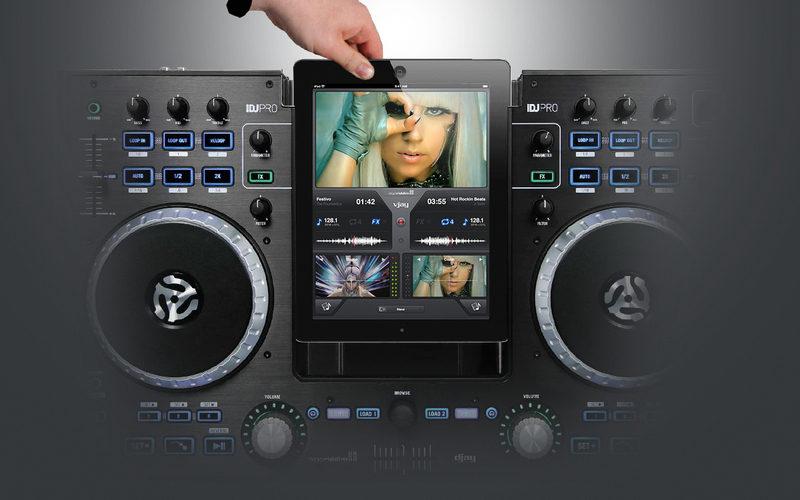 There are a number of effects apps (such as LiveFX) and one DJ app (Cloud DJ) that also use it. 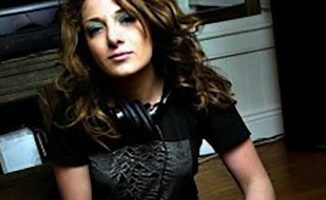 Could we expect to see DJ apps introduce Audiobus support as a means to add extended FX or samplers into the mix, rather than build them into their app? With 128GB, the latest iPad can allow you to carry a pretty large music collection around with you. 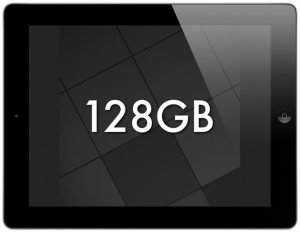 At the end of January Apple announced that the new iPad with Retina display will be available as a 128GB version, albeit at a high cost of US$799 (WiFi) and US$929 WiFi + Cellular. This continues the Apple standard of charging US$100 per increment of storage space. However, in terms of US$ per GB of space, it is far better value than the other available sizes. It still seems incredible that Apple can charge this amount when storage costs elsewhere are dropping (you can buy a 1TB hard drive for less than US$70). This may be the iPad to get if you’re seriously thinking about using one for DJing purposes. The increased space would mean you could carry more tracks around, and as the latest iPad runs much quicker than its predecessors, track loading and analysis should be nearly instant. 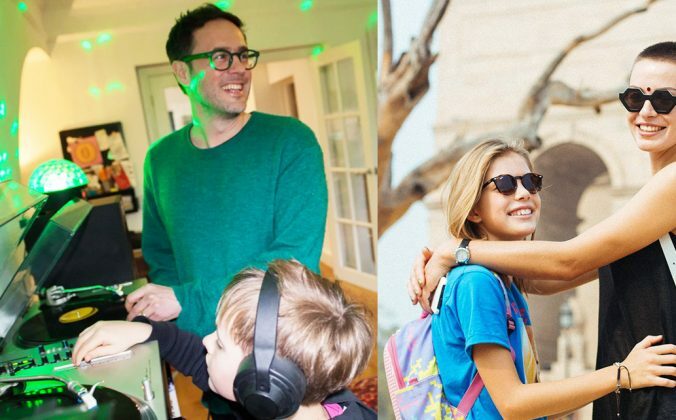 With the arrival of the new iPad, a host of forward-thinking app developers, and increased interest among hardware manufacturers in supporting iOS, the future of DJing on Apple devices is looking good for 2013. Remember, 2012 brought us multi-route audio, more compatible Midi controllers and incredibly DVS functionality as well, so we have to expect more innovation this year. As always, we will strive to bring you the latest news first here. Thanks! Seen many people here on forum threads and elsewhere knock iOS devives for playing out but I really think that we’ll see a shift soon-ish. The kit and apps are really moving along so quickly that more DJs will dip in, succumb and finally get hooked. Inevitable, really. Update: The DJ Player app has already been updated with Dropbox support (available in app store now). The next version of the app is currently going through Beta testing and includes in-app recording among a number of other interesting new features. 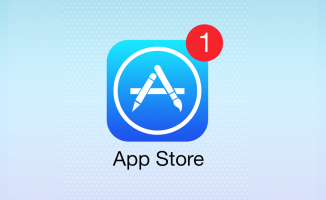 It’s a job for life keeping up with app updates alone! It’s not possible to charge the iPad through the kit. Only devices with direct 30-pin/Lightning connectors are able to do this (for example Vestax Spin 2). Other apps may eat your battery quickly, but DJ Player can play 6-8 hours from full on a retina iPad. No. The Lightning to 30-pin adapter doesn’t change this behaviour. Your MIDI/audio device should have a “Made for iPod” connector to charge your iOS device. It’s not about the connector itself, but the logic board and Apple authentication chip inside your MIDI/audio device. If it’s “just” a regular USB device, it can not charge it. Yup, the ipad4 runs 7-8 hours with the vci 400 connected and running on batteries. Yes you’re right, you can’t charge your iOS device using a USB hub…that was an earlier video of mine where I got the facts wrong – the pressures of filming the same piece over and over before I got most of it right! I guess this is where there’s a market for the Vestax V-Midi which can transport Midi and charge your iOS device at the same time. Don’t forget the Rekordbox app which allows you to do your beatgrid, cues and loops homework on the move between gigs. lol! yeah Im a fan of it, you can certainly say that! 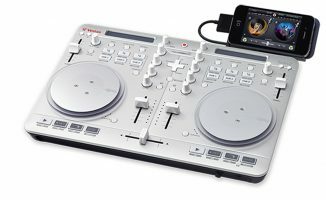 i think one of the Behringer Command Micros and and iPod would be phat running DJ Player; which is the only real Djing app. 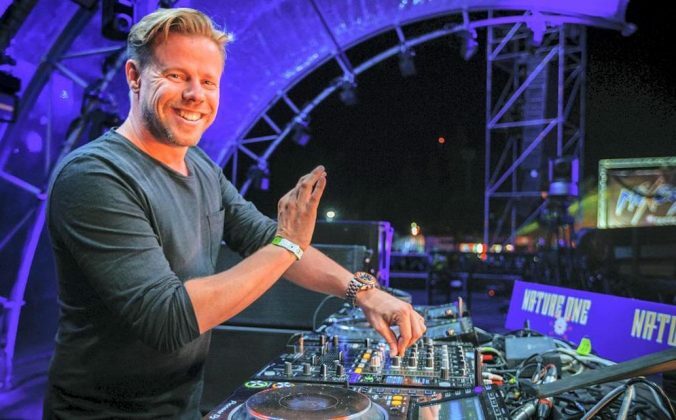 djay is, well sort of a joke, at this point; that tiny little fx window, the little buttons and faders, the boring UI, etc..DJAY should stop trying to re-create a traditional rig and embrace automation, and for GODS SAKE lose that stupid tone-arm! Nice spot on those Behringers…hoping to get some soon for review. Like you say, these would be a perfect fit for iOS – add just the Midi bits you want/need, leave the iOS device to do what it does best = big X-Y control pads, nice music library browsing etc. Why the android devises are not in this tablet game? NI announced an app for ipad but nothing for android. I am sure nexus 7 or 10 can handle these kind of applications! It’s not the hardware. Android is the problem (audio latency, stability). @D-Jam: Yes, this is the case even with the best super shiny mega-core super GHz tablet. Android is the problem. Then I guess iOS will remain the specialized thing then. Interestingly, in this case iOS is not the specialized thing. iOS is like a “real operating system”, while Android is a hybrid on top of Linux. I totally agree with D-Jam. IOS is way too limiting and frustrating in all of it’s “normal” computing functions. the android is such o growing market that the developers should stop ignoring it anymore. i don’t know the exact sale numbers of the (so called) hi-end android tablets versus the ios devises. the customers have the power and should start demanding cross platform apps. Until Google significantly improves audio latency & stability on Android the situation is unlikely to change. Developers are keen to work with something other than iOS, but at the moment the alternatives aren’t reliable or stable enough. However, some apps like RekordBox are available on Android…OK, so they’re not fully functioning ‘live-DJ’ apps, but it’s a small step. My guess is that by the time Google get round to improving Android significantly, it’ll be called something else entirely. i never of docking a tablet on a mixer was a cleaver idea. both IOS and Android devices get annoying system hangs. but like someone already stated, Linux and Soundcard arent’s the best of friends in terms of compatilibity. iOS is a super stable system, even more than OSX. But I agree, it’s very stable and your app runs very reliably on it. And on the ipad4, is an amazingly fast & responsive computer too. But all those guys who never tried will not understand it before they dare to try. I no longer use other mobile computers than the ipad for many months now. 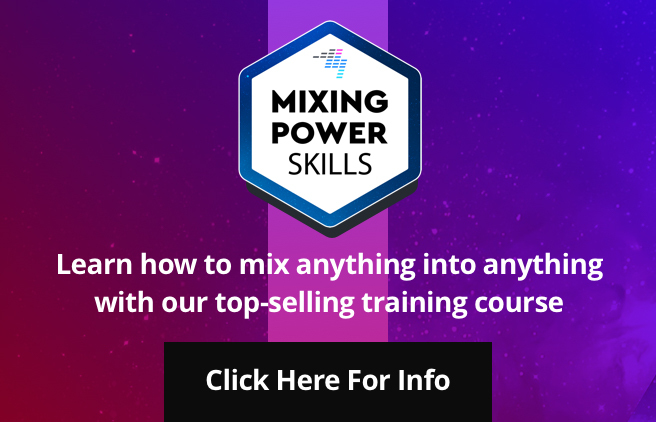 Why would they keep promoting vjay and the idj pro does not have video out and no connector can be used to do so.